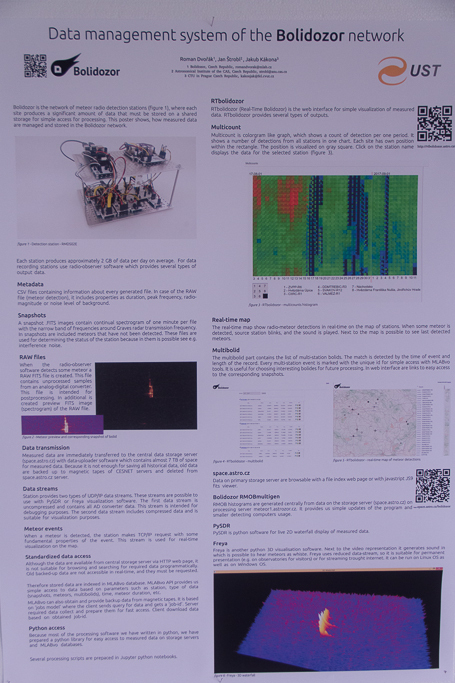 Data management system of the Bolidozor network – Roman Dvorak (Bolidozor – República Tcheca). A new meteor fell in the region of Igdi (Tata, Marrocos) “sowing panic among the inhabitants” – A. Ibhi. The Konkoly Meteor Observing network – Antal Igaz (Konkoly Observatory, Budapest – Hungria). 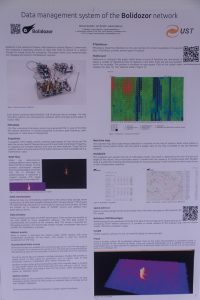 SCAMP – a new UK Bolide Network – J. Rowe. Shock waves generated by overdense meteors in the mesosphere lower thermosphere – E. A. Silber. Past, present and future of beacon signal transmission for meteor radio observation in Japan – K. Maegawa. THe statisical analysis of the height distribution and velocity dristibution of perseids meteor showers – P.-Y. Wu. 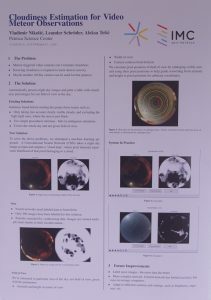 The analysis of team visual observations – some aspects – Diana Sekulic (Petnica Meteor Group – Sérvia). 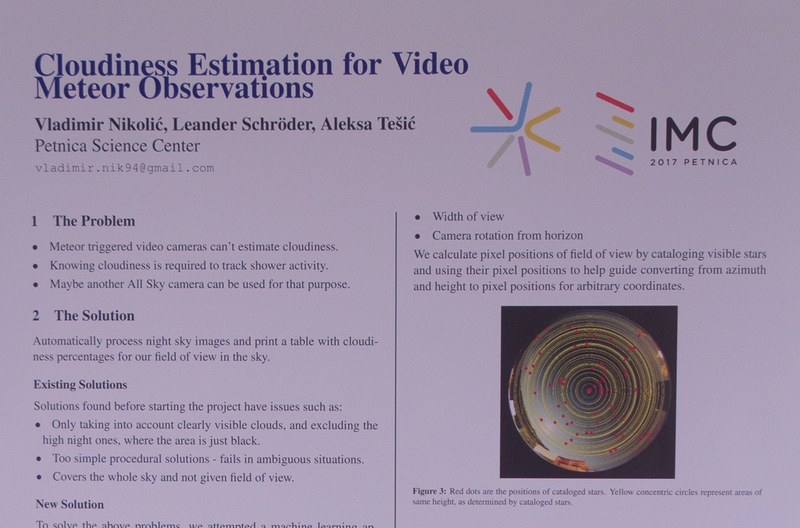 Cloudness estimation for video meteor observations – Vladimir Nikolic (Petnica Meteor Group – Sérvia). A sessão de posters é um importante momento da Conferência. Ali, pode-se estabelecer contatos e conversar mais tranquilamente com os responsáveis pelos posters bem como com os palestrantes que já se apresentaram ou não. É realmente um ótimo momento para estabelecer o networking.